Brilliant, even without Touch? The new MacBook Pro laptops have arrived. The most striking new feature: a Touch Bar instead of function keys. Apple still offers a model without this novelty, and wants to target the "entry-level sector" – price: 1699 Euros ($1499). We already have a device in our editorial office and will share our results in this live review. Positive: Excellent display; energy saving; long battery life. Negative: Relatively high price. 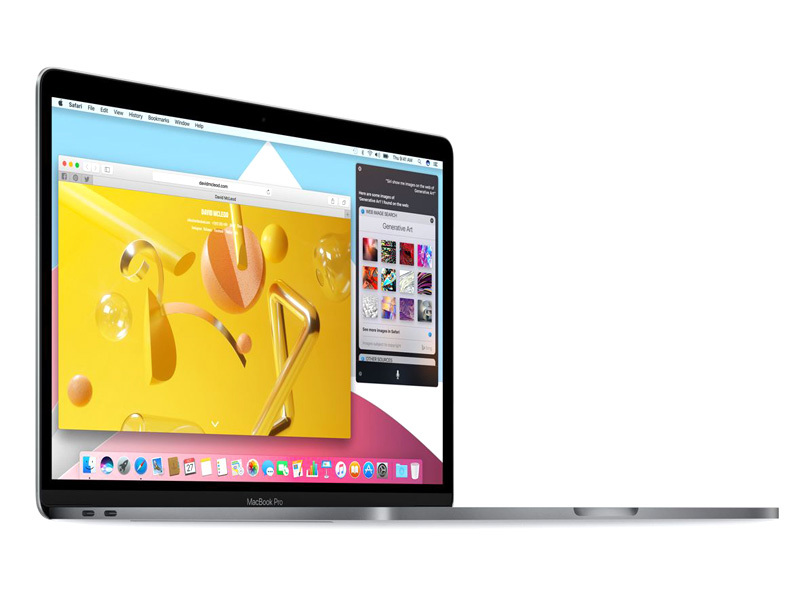 Apple’s updated MacBook Pro 2016 is offered in the same two sizes as the previous models – 13-inch and 15-inch. The smaller 13-inch model has been Apple’s best selling laptop and was the benchmark for many other manufacturers. The new MacBook Pro 13’s overall volume has been reduced dramatically. It is now 17% thinner than its predecessors, measuring up to 14,9 mm and weighing only 1,37 kg. With so much of its thickness shaved off, effective thermal management would be a definite concern for all users. This is why Apple had the forethought to incorporate variably intermittent fan blades throughout the system that can propel air and eliminate heat quietly through the structure. The new Pro feature is a larger Force Touch trackpad, twice as spacious as the one on the previous model, providing users more room for finger gestures and clicks. The keyboard also received an upgrade to include the new butterfly mechanism that provides four times more key stability. The new display in the MacBook Pro has been heralded by Apple to be the best Retina display ever in a Mac notebook. The new and improved screen has a brighter LED backlighting and an increased contrast ratio, able to deliver deeper blacks and brighter whites. It is also 67% brighter, with a maximum brightness rating of 500 nits. Another important spec of the MacBook Pro that will endear it to creative professionals like photographers and videographers is its colour gamut, which is now 25% wider than the standard RGB and includes the P3 colour space. The latest novelty of this notebook is the multi-touch bar. It is essentially a strip of glass built into the keyboard where the function keys used to be. Being contextually aware of whatever software is being used, the display on the touch bar changes automatically, depending on the software running at that instance to give easy access to the relevant tools, for example - system control like volume and brightness, interactive ways to adjust or browse through content, intelligent typing features like emoji and predictive text, and more. To access the function keys, simply hold down the FN key on the keyboard. Potential buyers should be aware that the touch bar is not available on the entry-level 13-inch models. The new MacBook Pro is also the first Mac to come with the Touch ID fingerprint sensor, which can be used to unlock the notebook in an instant and even switch between users. The Touch ID also enables fast and secure online purchases via Apple Pay. At its core, the 13-inch models offer dual-core Intel i5 or i7 processors. On the memory front, the 13-inch models start with 8 GB of RAM, and are upgradeable to 16 GB. The MacBook Pro also has excellent battery life, being able to survive up to 10 hours on a single charge. Without a doubt, the new Macbook Pro 13 will continue to be Apple’s best selling laptop and will be the benchmark for many other future laptops. However, its hefty price tag is a major concern for potential buyers. The model that comes with the touch bar costs as much as a gaming laptop running on Windows. Apart from that, there have also been cases of faulty GPU in many of its first shipment. It is still unclear if this is actually a problem that will effect all models and if Apple will fix it soon. 6360U: Skylake-based ULV dual-core processor for thin notebooks and ultrabooks. Offers an integrated Iris Graphics 540 GPU with eDRAM memory and is manufactured in 14 nm.» Further information can be found in our Comparison of Mobile Processsors. 84.05%: This rating should be considered to be average. This is because the proportion of notebooks which have a higher rating is approximately equal to the proportion which have a lower rating.